Can you deliver my coins to a Military Postal Facility? We do this every day of the week. Shipping to an APO address will delay the arrival of your custom challenge coins by a few days, however. Email notification is sent upon the coins entering the postal system for delivery. Can I order just one (1) coin? You can! However, it will be more cost-effective to order fifty (50-100) as our coin pricing is based on volume. Should you need to only order one coin, please call us for more details. My company needs about 10,000 coins made – how long will this take? We are very astute at providing our corporate customers who place bulk orders with us accurate delivery estimates. At the time the order is placed, we follow up with you on a delivery schedule as determined by our factory. We can even split-ship bulk orders upon request. At what time of the day can you be reached by phone or email? We are available Monday through Friday 8am to 6pm Central Standard Time. Often, some staff work beyond these hours, and even on weekends, so don’t be surprised if your email or phone call is returned after-hours. I prefer to place my order online, do you have this option? Yes. To place your order using our secure online order form, please click the link that was provided in your quote. Payment is due at the time the order is placed with us. Our factory uses expensive metals and other materials in the production of your custom coins, and once they are made we can’t simply put them back on a shelf or “melt them down” to use for another order. We once received a call from someone asking us if he could send us several hundred coins to “melt” and make his new order with at a discount. It just doesn’t work that way. For these reasons, all orders are paid in advance. Rushing an order really isn’t our style. That being said, we are capable of minting and delivering custom challenge coins in about 10-14 business days. Keep in mind that if your design contains 3D graphics or hard enamel finishing, such a delivery deadline is nearly impossible to meet. Most customers ordering these coins realize that quality takes time. If your design is simple and contains no color you will most likely have UPS knocking on your door inside two weeks. Do you use an overseas factory? Yes, we do, in China specifically. But, we can also mint at our domestic factory for a significantly increased cost. As Pro-American as we are, the Chinese have made it affordable for everyone to have their own high quality custom challenge coins minted. We do have some union-based customers that require US sourcing and are completely capable of fulfilling this request. Do you accept American Express as payment? 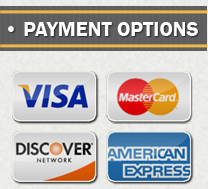 We gladly accept all major forms of credit cards. I’d like to see a sample of a coin you have made. Can you send me a few for review? Do you give discounts to Active Duty Military? 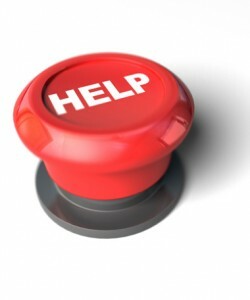 Yes – please inquire for current promotions to: sales@customchallengecoins.com. You may read over our policy by clicking here.